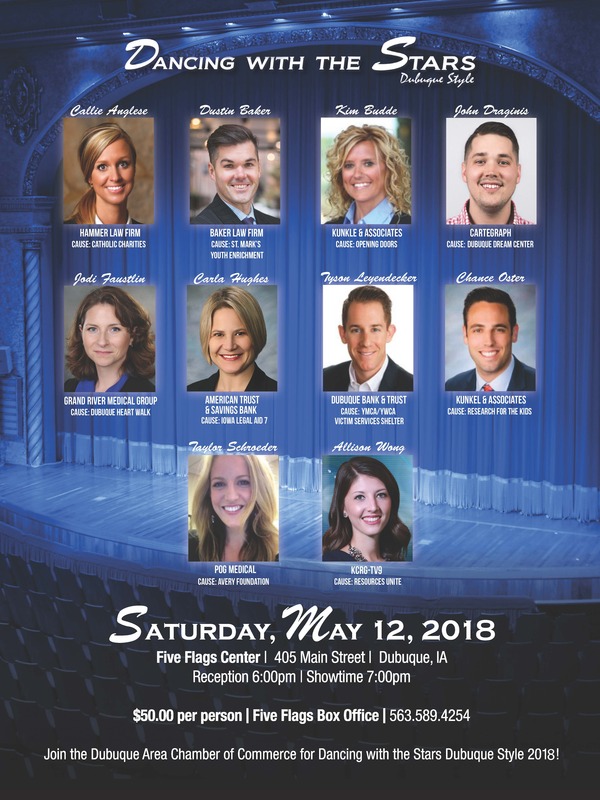 Join the Dubuque Area Chamber of Commerce for Dancing with the Stars Dubuque Style 2018! Includes Show, Beer & Hors D’oeuvres. Cash Bar Available.